Property Location With a stay at Extended Stay America - Orlando - Maitland - Summit in Orlando (North Orlando), you&apos;ll be convenient to Zora Neale Hurston National Museum of Fine Arts and Links at 434 Golf Course. 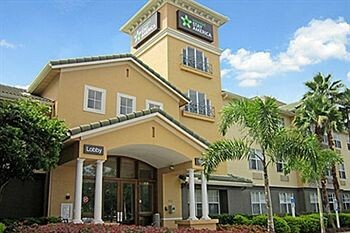 This aparthotel is within close proximity of Congo River Golf - Altamonte Springs and St. Lawrence AME Church.Rooms Make yourself at home in one of the 133 air-conditioned rooms featuring kitchens with refrigerators and microwaves. Complimentary wireless Internet access keeps you connected, and cable programming is available for your entertainment. Conveniences include desks and coffee/tea makers, as well as phones with free local calls.Rec, Spa, Premium Amenities Enjoy recreational amenities such as an outdoor pool and a fitness center. This aparthotel also features complimentary wireless Internet access, barbecue grills, and complimentary use of a nearby fitness facility.Dining A complimentary continental breakfast is included.Business, Other Amenities Featured amenities include laundry facilities, a safe deposit box at the front desk, and an elevator (lift).